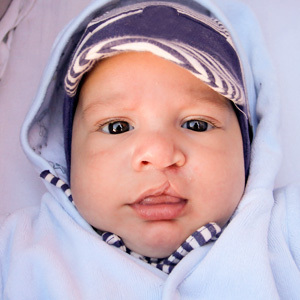 About 1 in 700 U.S. babies are born with some type of visible gap or “cleft.” It can occur in their upper lip, soft and hard palate, nose or occasionally extending to the cheek or eye region. We typically classify clefts as “unilateral” (affecting only one side of the face) or “bilateral” (affecting both sides). We're not completely sure on the root causes, but research so far has uncovered links with the mother's possible exposure to toxic substances, nutrient or vitamin deficiencies, or infections during fetal development.